Are you counting down the New Year? Your customers are too waiting for new deals and offer from you. So, it’s time to make everyone excited about your New Year WOW offers and promote it aggressively. 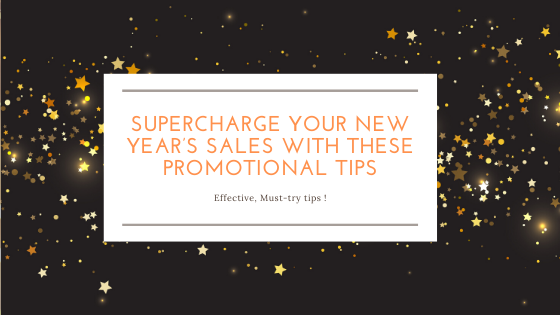 Whether you have a flash sale in your products or you are organizing an event this New Year, you can use Bulk SMS to reach your target audience. Social media is ruling half of the time in our daily lives. It has help people to acquire information regarding your new year offers and engage them. You can collect feedback on your photos, deals, and video easily. Use of different social media platforms like Twitter, Facebook, Instagram, Tumblr based on its usage can enhance your sales too. It’s a good idea to first understand how your audience uses social media and choose the best platform to acquire maximum benefit. If you want to increase your audience, you should excite them with your upcoming event or offers. And the best way to reach your target audience is email/SMS. You can segment your audience on the basis of their taste and preferences. For examples, you can offer separate deals for women clothing and men clothing. This can help you reach broad audiences in the right targeted way. Mobiles are close to everyone. It’s everyone’s personal device they prefer to carry anywhere anytime. This has created an opportunity for business managers to set their marketing campaign in a personalized way. Sending SMS can be the best way to promote your New Year offers and reach the maximum audience. Likewise, the researchers have found that SMS is read within 3 minutes of delivery. At Sparrow SMS, we always tend to assist our customers to maximize their audience reach via Bulk SMS in Nepal. Talk to us about the possibilities of it. Sign up free trial today! Or visit our site: http://sparrowsms.com/.